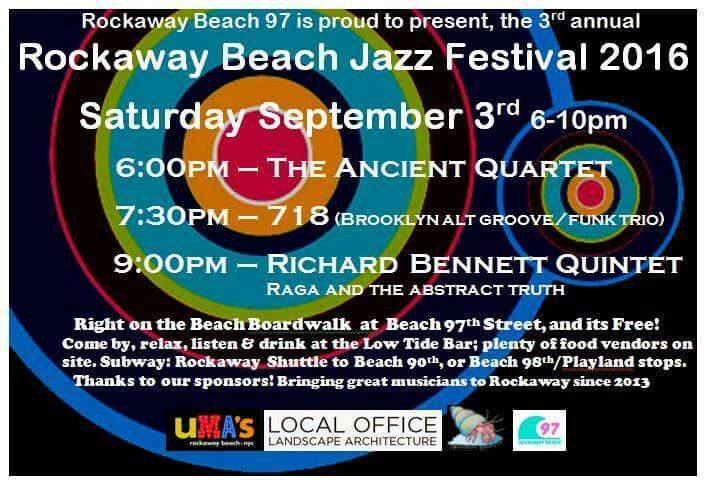 to Perform at the 2016 Rockaway Beach Jazz Festival! Hey, where do you think you’re going? Not so fast- summer isn’t over yet! We still have one more HOT summer party to rock before we let you recuperate and regroup for the fall festivities. Head to Rockaway beach in the morning, relax and start the party, then stroll over to the stage and check out  at 7:30pm! We will be pulling out a bunch of new music from our soon to be release CD, so don’t be late!